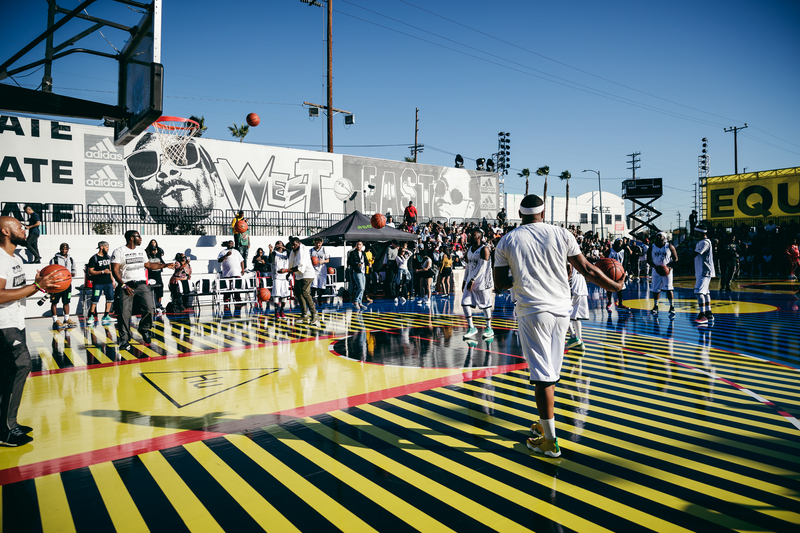 Missing out on All-Star Weekend? Don’t worry. We got you. 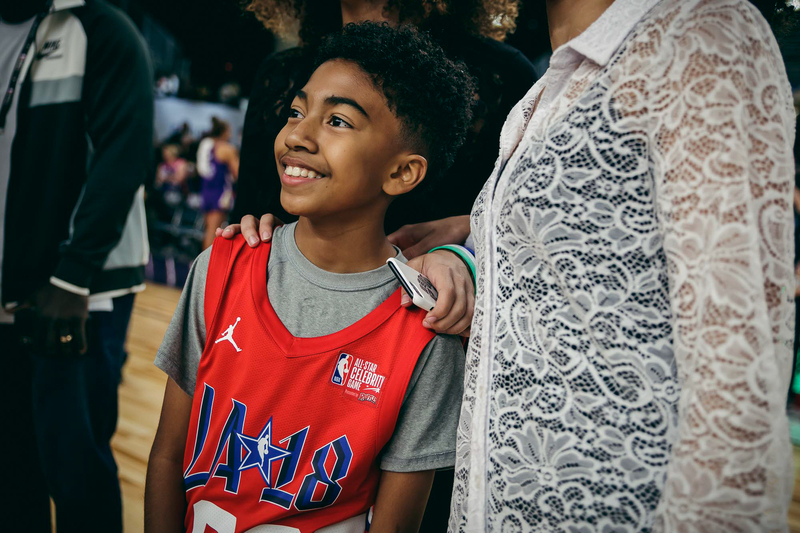 Check out The1point8’s photo dispatches from the 2 Chainz vs. Snoop Dogg celebrity one-on-one game, Draymond Green at the Makerspace Youth Basketball clinic, and the action-packed NBA All-Star Celebrity Game, where stars such as Jamie Foxx, Common, Migos, and Erik Killmonger — sorry, Michael B. Jordan — ruled the court. View of the Adidas 747 Warehouse St location. 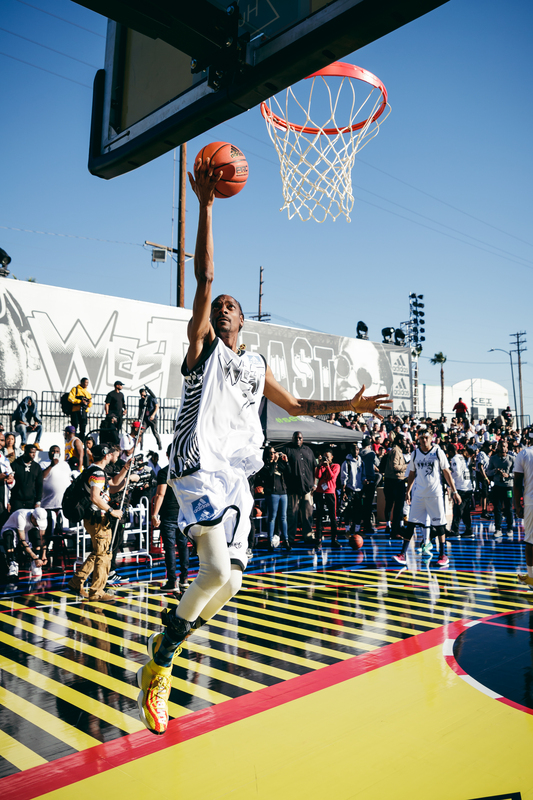 Snoop Dogg arrives and wastes no time in warming up, taking shots and practicing his layup technique. 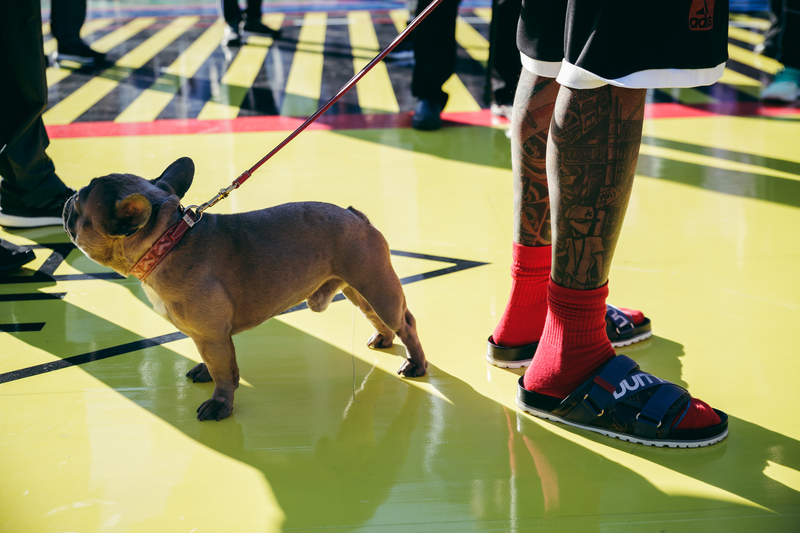 Although 2 Chainz was named as one of the team captains, he wasn’t able to play due to a leg injury received a few months ago. 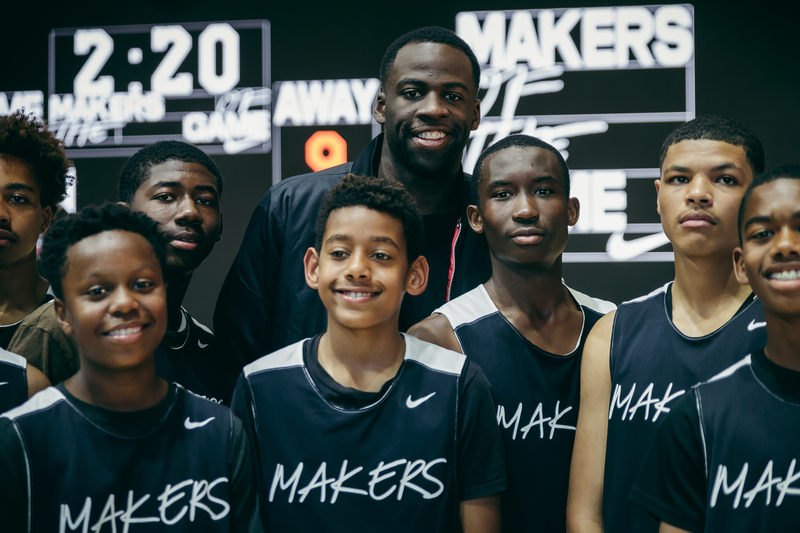 Draymond Green meets with the younger athletes involved in the basketball scrimmage and gives them some a few words of encouragement. 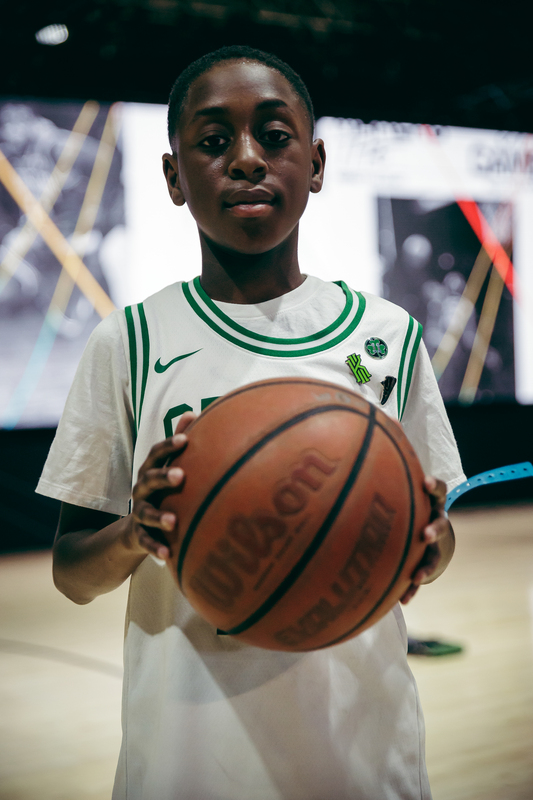 Influencer Jah Swish poses for a photo at the Nike Makers Headquarters. 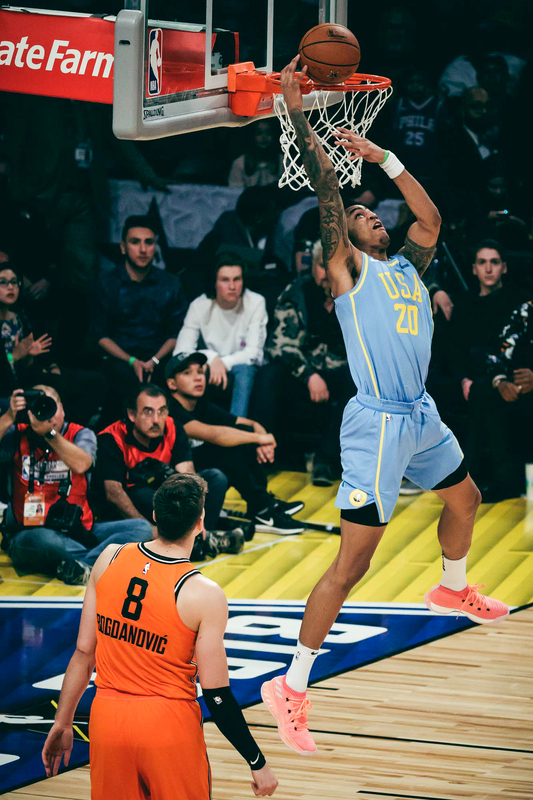 Coverage of day one at the 2018 NBA All-Star Weekend in Los Angeles. 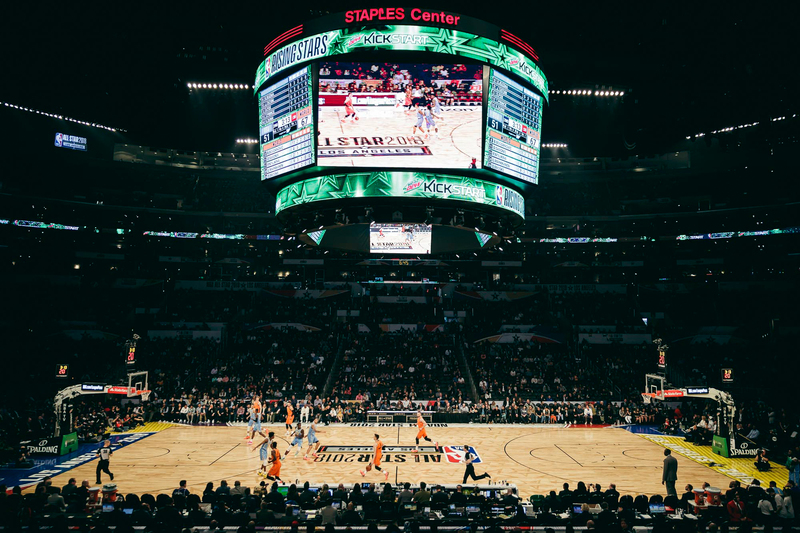 View of Staples Center during the Rising Stars Challenge, which had players outside of the U.S. competing against American players. Actor Michael B. Jordan (second from right) enters the game during a free-throw game stop. 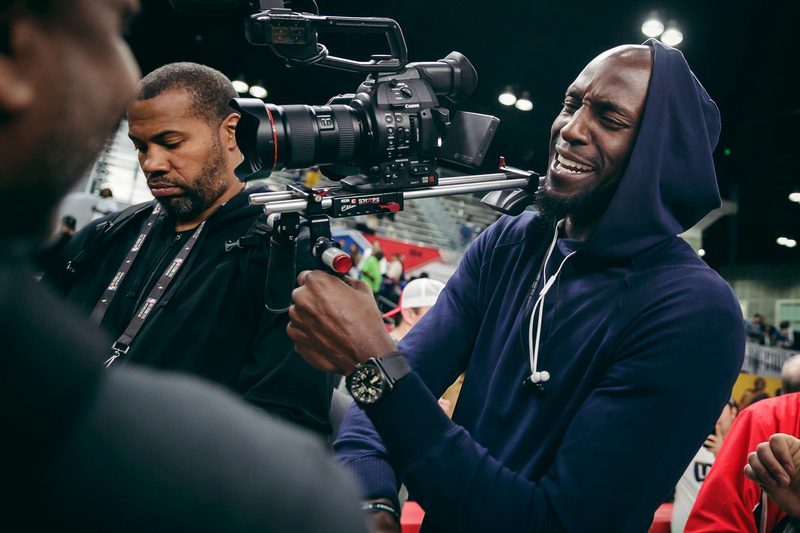 NBA legend Kevin Garnett appears to have a working camera with him. 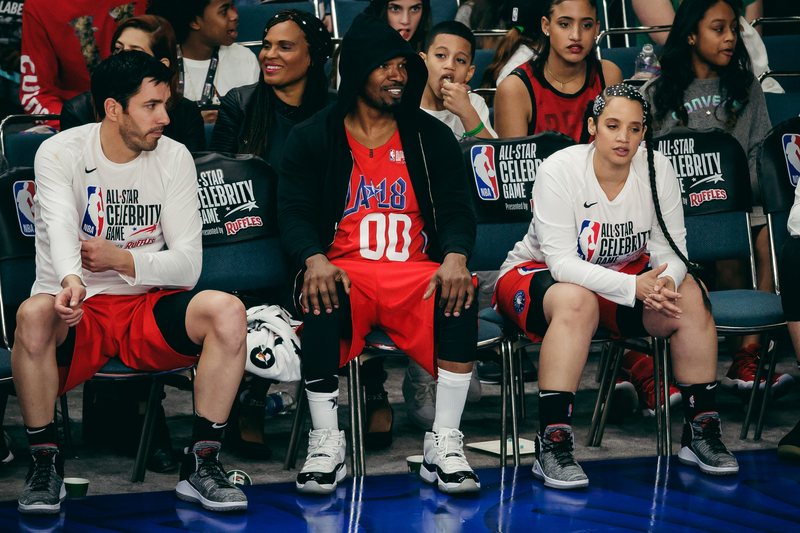 Actor Jamie Foxx (center) looks on from the bench as his team plays in the Los Angeles Convention Center. 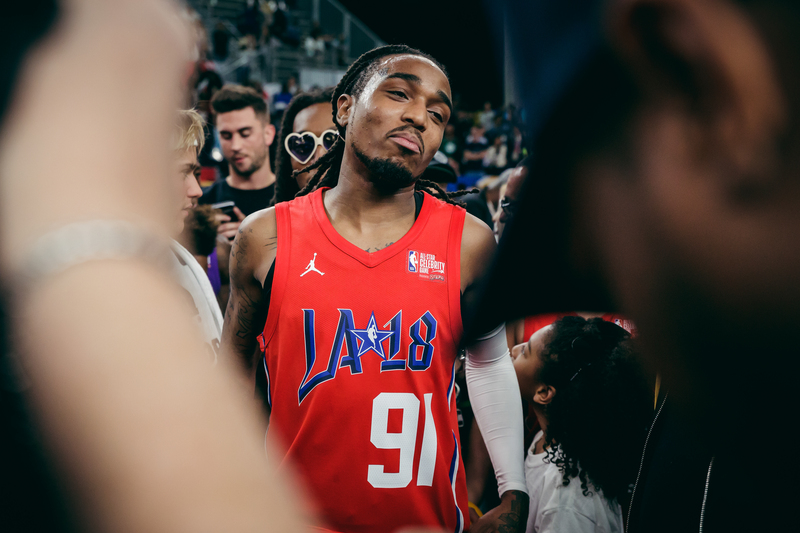 Quavo wins MVP during the NBA All-Star Celebrity game, finishing with 19 points, five rebounds, three assists and two steals. John Collins, representing Team USA, goes for the reverse layup. 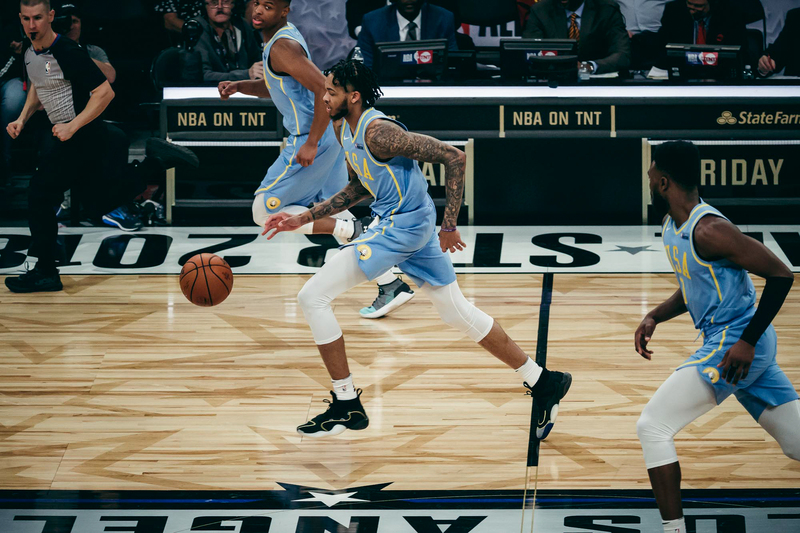 Brandon Ingram (center), a Los Angeles Laker and Team USA player, has a couple of key plays during the second half of the game. 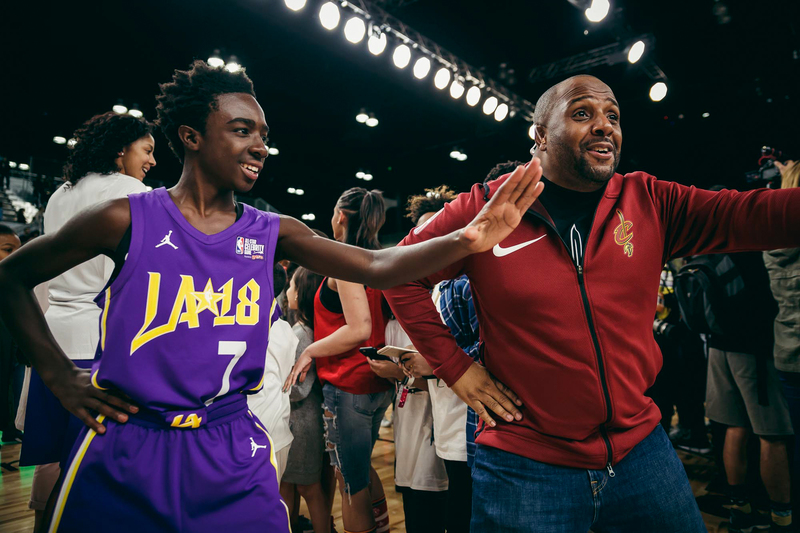 Caleb McLaughlin (left), an actor in Stranger Things, dances on the court. 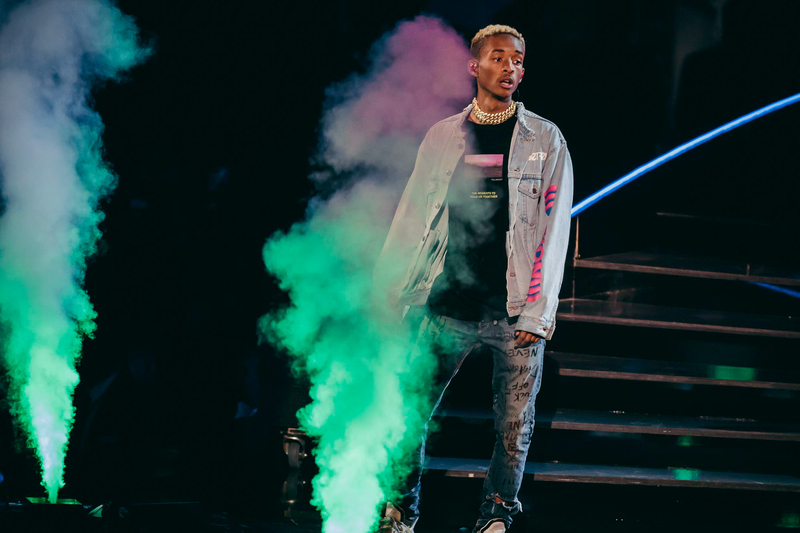 Jaden Smith performs during the Rising Stars halftime show. Miles Brown, who stars on the ABC show black-ish, poses for a quick photo with a fan. 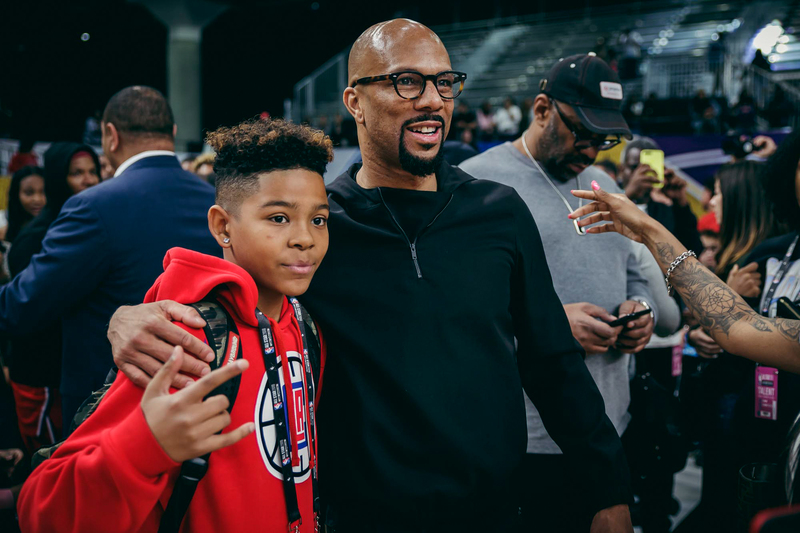 Common (left) and a fan pose for a photo after the All-Star Celebrity game. 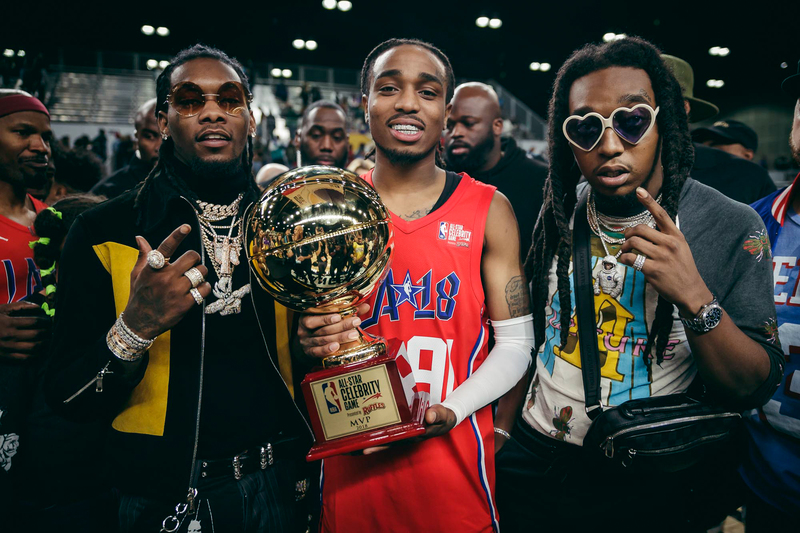 Quavo (center) is joined by fellow Migos members Offset (left) and Takeoff (right) during his MVP trophy presentation. Danielle A. Scruggs is a photo editor for The Undefeated. She is a Chicago native and firmly believes no sports team will ever be as great as the Chicago Bulls during their three-peat eras.